… because the closer you think you are, the less you’ll actually see. 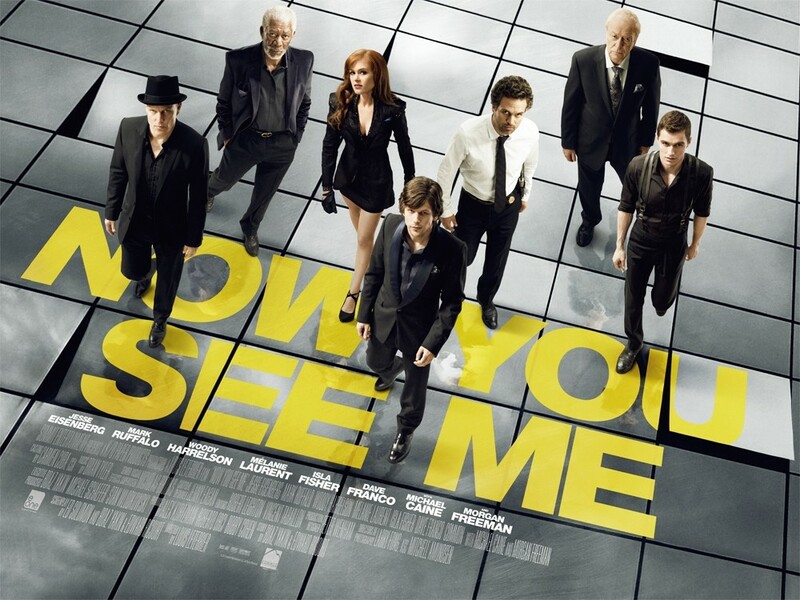 Now You See Me is a mystery-crime-thriller sort of film, whereas I don’t think the thriller element is really that huge a topic. Basically, the movie is about the 4 horsemen, a group of stage magicians, who perform a bank robbery and other inexplicable magic tricks in front of a live audience. An FBI agent and an Interpol agent try to discover their secrets, so that they’ll finally get a step ahead of the group. I absolutely loved the movie and it’s cast. Even the actors for the less important parts were chosen very well, but I guess I am easily impressed by everything that has to do with magic tricks. You know that everything is an illusion, that you are being tricked, but somehow it still amazes you and leaves you wondering how they did it. Now You See Me admited that they use some tricks that are not really possible nowadays, but that might be in the future. Nonetheless, the movie looks really amazing and I don’t regret watching it at all, especially since it gave me another reason to love Jesse Eisenberg. I never like to go into much detail on the storylines, because I think it can easily spoil the whole experience, but I have to say that I somehow wasn’t satisfied with the ending of the film. I can’t really put my finger on it, but it’s as if I need one more thing explained, a little more detail on what happens. It was made brilliantly though, leaving you wanting more … so, I guess they achieved exactly what they wanted with me. Have you watched it? Did you love it as much as I did? Watched it yesterday. My general fondness of heists, magic and redheaded girls aside, I enjoyed it immensly. Great ensemble and even Franco jr. wasn’t as annoying as usual. Story could have needed another dramaturgs opinion though. Yeah, I totally get what you mean. I thought it started out really good, but they messed up the last third of the film. you’re stating and the way in which you say it. You make it enjoyable and you still take care of to keep it sensible. I can not wait to read much more from you. This is really a terrific site.